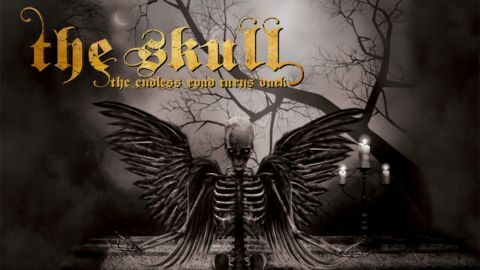 In a way, the ultimate compliment for a doom record is ‘Man, I can’t believe no one did that riff before!’ Still working out of Iommi’s 50-year-old rulebook, you might think that every downcast chord progression and sinister melody had been interred by now, yet on their second LP The Skull continue unearthing intrinsically satisfying new variations on doom’s hoary blueprint. Not surprising, since this band is a spin-off from Chicagoan ‘white doom’ pioneers Trouble, with Eric Wagner’s otherworldly voice sounding wiser and more relaxed, but more authoritative and powerful than on The Skull’s 2014 debut, For Those Which Are Asleep. There are subtle yet effective twin guitar harmonies – conspicuous by their absence from the debut – plus a tasteful dash of 60s psych/prog eccentricity on From Myself Depart and All That Remains (Is True), and if you think the thunderous drums pack a familiar wallop, you’re right: ex-Cathedral skin-punisher Brian Dixon has at last found a new vehicle for his sublime hammer-of-doom skills. Additionally, the guitarist’s from Witch Mountain, so you know you’re in safe hands with this veritable doom supergroup, expertly blending the soulful American blue-collar doom rock approach with the more mystical, macabre European tradition.